Fish is a vital source of food and nutrition security for 400 million Africans. And, fisheries play a critical role in providing livelihoods for more than 12 million people as fishers and processors, of whom 27% are women. However, emerging challenges such as increasing population and fish demand, overexploitation of fishery resources, lack of fisheries reforms and environmental degradation are straining fisheries and the communities who depend on them. While global per capita consumption of fish is rising, in sub-Saharan Africa, where it has the greatest potential to increase food and nutrition security, fish consumption is lower than the global average. Projections indicate that per capita fish consumption in the region will decline to 5.6 kilograms by 2030, that’s just one-third of the global average. The world’s growing demand for seafood has led to overexploitation of Africa’s coastal and inland fisheries. Illegal, unreported and unregulated fishing practices and ineffective fisheries governance are increasingly depriving local small-scale fishers of a valuable food source and income. 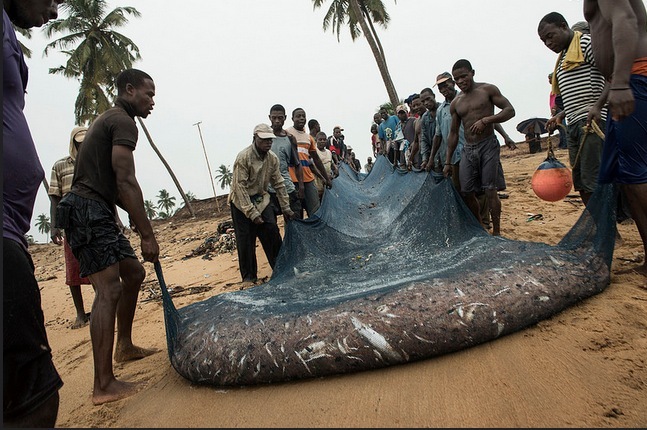 In 2014, the Africa Progress Panel report revealed that illegal fishing vessels flouting international conventions are costing West Africa alone over US$1billion per year. Africa is rich in fish resources and yet the continent’s fish trade accounts for only 4.9 per cent of the legal global fish trade. Much of Africa’s fish trade is informal with little traceability, an increasingly important requirement for foreign buyers. Intra-regional fish trade, an area with huge growth potential, has remained neglected due to poor trade infrastructure and weak policy frameworks. Major impediments such as high transport costs, unequal power relations between operators in the value chain, poor enforcement of policies to ensure sustainable exploitation of fisheries, complicated trade rules and inadequate market information have prevented African fish processors and traders from optimizing the true potential of opportunities available to them. Aquaculture, a great success story in Egypt, could be the way forward, but it is still at a nascent stage on the rest of the continent. The twin challenges of rising demand for fish and dwindling supply threaten to jeopardize regional food security and the livelihoods of local communities. With the realization that improved market conditions and more efficient trade could net positive effects in terms of livelihoods, food and nutrition security for millions of Africans, WorldFish, the New Partnership for Africa’s Development (NEPAD) and the African Union Inter-African Bureau for Animal Resources (AU-IBAR) and the other regional and local partners have begun to lay the groundwork for changing the way Africa trades its fish. Funded by the European Commission and led by WorldFish, the FishTrade for a Better Future project was launched in March of this year at an event in Nairobi. It promises to strengthen value chains and, with a focus on sustainability, give better access to intra-regional markets. Since the lack of credible data on fish trade is an obstacle to developing and implementing effective policies, generating evidence will be the initial focus of FishTrade. WorldFish is currently working together with nine regional universities in Africa. The collaboration is intended to serve a dual purpose: research outcomes will be used as sources of evidence in policy formation and local research capacity will be developed to further support fish trade in the future. 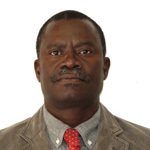 In addition, by generating evidence about the structure and value of intra-regional fish trade and its contribution to food security in sub-Saharan Africa, FishTrade will support adoption and implementation of policy recommendations on fish certification procedures, quality and safety standards and regulations. An initial review shows that there is great regional disparity between existing policies with many not being implemented. Fostering better alignment of national policies and expansion of trade opportunities for fish dependent communities, especially for women fish processors and traders, could build a strong foundation for future progress, boosting economic growth and providing a pathway out of poverty for poor communities. Better fisheries management is also expected to lead toward improved trade practices related to certification procedures, safety standards and traceability, resulting in significant post-harvest loss reduction and in ensuring nutrition security and livelihoods for local communities. The project is already looking at school feeding programs as a potential market for fish to improve the nutritional status of children. FishTrade will also work with Regional Economic Communities (RECs) to design and implement regional projects aimed at strengthening the capacity of those involved in intraregional trade, especially women and youth. Moving forward, FishTrade also aims to address the problem of unregulated fishing through helping key stakeholders adopt and implement a regulatory framework to secure safety standards and fishing rights. Equally important will be to ensure representation of local fishing communities in the decision-making process. Given the heavy reliance of local communities on fisheries, reformed fisheries management and improved governance will be an important step in bringing the sector’s benefits to those who depend on them. Initiatives such as FishTrade will be crucial to creating greater efficiencies in value chains and strengthening governance for improved food security and livelihoods. Key will be to ensure the representation of local fishing communities in the work and the subsequent decision-making process. The quantification of this vital value chain provided by FishTrade will enable National Accounting Offices across the African continent to gain a more accurate picture of the contribution of fisheries to national economic development. With that evidence the true value of fish can be realized and more support given to the development of this crucial industry for food and nutritional security in Africa.